Navy Pea Coats & Other Things We Might’ve Lost – a 'peace' of my mind…. I grew up hearing stories about going to war. 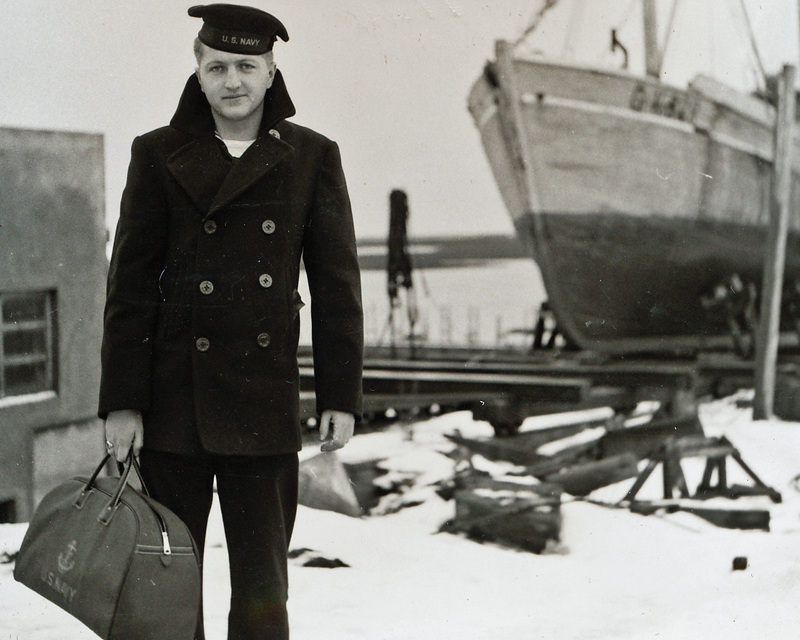 This picture of my dad in his Navy-issued pea coat was taken in 1953 in Keflavik, Iceland, where he was stationed for a portion of his military service during the Korean War. My dad served in the Navy during the Korean War. We always teased him about being stationed in Iceland and then aboard a ship in the Mediterranean for the duration of a war that was going on in Korea. But I’m thankful he didn’t have to be involved in combat. Thankful that his commanding officers quickly discovered he was smart and could type and put him to work in an office. Thankful for a warm Navy peacoat that made it home. A pea coat that I get to wear sixty winters later. My mother was in college when World War II broke out, and her younger brother joined the Navy to avoid being drafted into the Army. My dad always said at least in the navy you know you have a dry, clean bed to sleep in, instead of a foxhole. My mother’s brother served on the U.S.S. 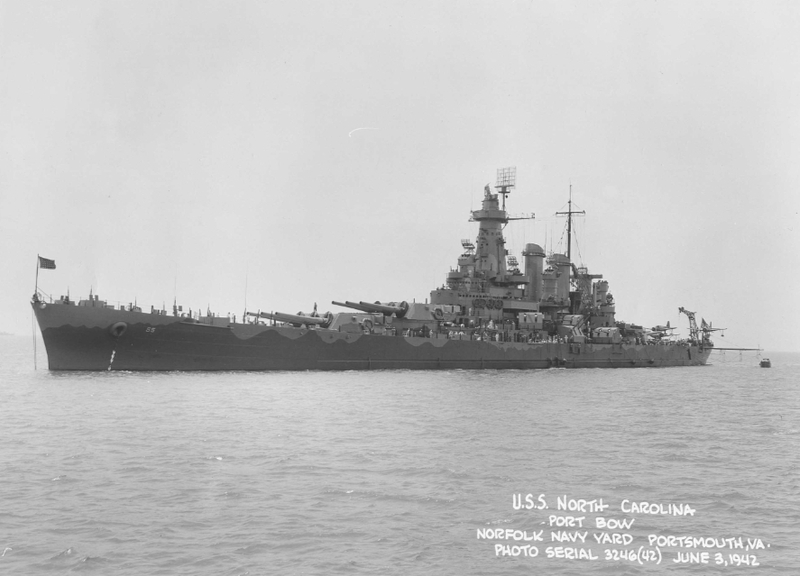 North Carolina, mostly in the South Pacific, during World War II. He never talked much about that time in his life, but I knew the stories from my mom. Stories about his job being up in one of the gun turrets, using coordinates to aim the guns to fire at enemy ships and planes. Once he and a group of his buddies were playing cards in an area close to the side of the ship, just below the main deck. My uncle left to go to the latrene, and during the time that he was gone, a Japanese kamikaze plane flew into the side of the ship, killing every one of the guys he’d been playing cards with just moments before. If he hadn’t gotten up when he did, I wouldn’t’ve known my Uncle Bud. I wouldn’t’ve known nearly as many jokes as I do. Some that I shouldn’t tell. I wouldn’t’ve gotten to see the Astros play in the Astrodome until much later in life. The miniature rocking chair that he carved for me when I was eleven wouldn’t be sitting in my bookshelf. And I never would’ve known Buddy and David and Mary Ann. Someday soon we won’t be able to hear those stories firsthand. But I’ll still be wearing that peacoat. Unless global warming is for real. So cool that you have his pea coat! Awesome! I am glad you can wear that PCoat, I don’t think it would fit me now. Ha Ha! Good writing on this Special Day! Love You Much! Love you, too, Daddy – proud of you.